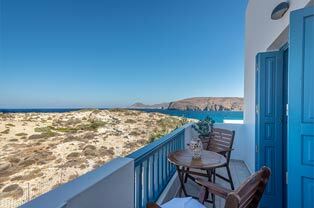 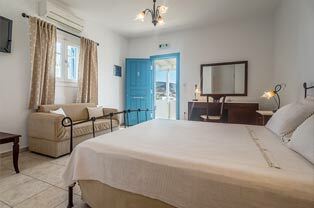 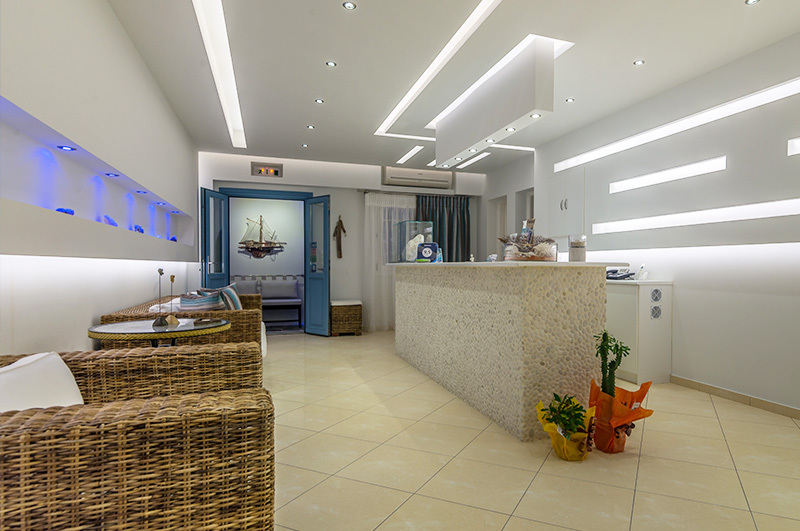 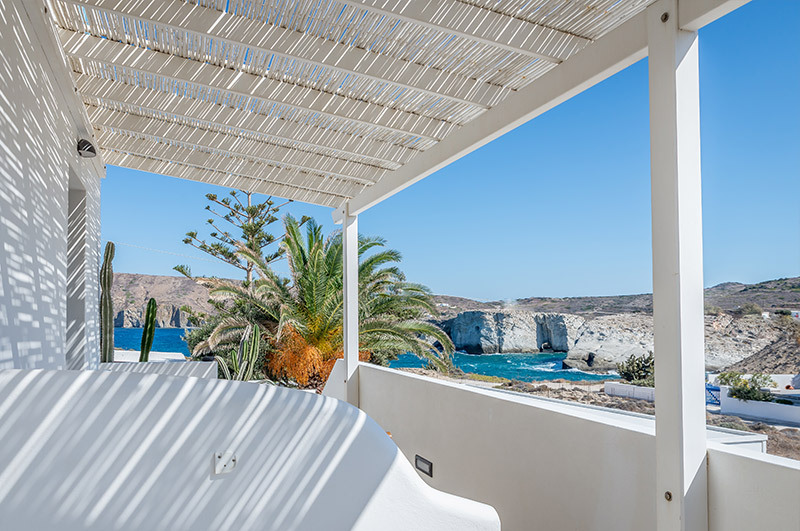 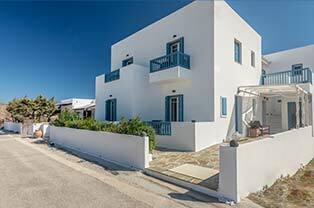 Astraeos hotel welcomes you to the island of Milos in our newly built hotel. 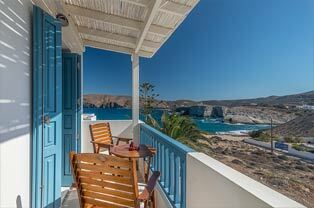 In mythology Astraeos ( Αστραίος), the son of Crius and Eurybia, was the titan who created 5 planets (astral, stars) and the father of 4 winds. 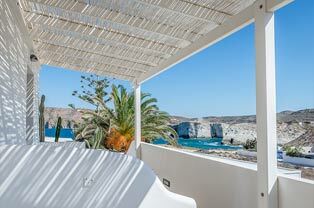 Astraeos hotel is located in Pachena, close to Milos excellent places like the ancient Philacopì and Papafraga, with a unique view of the Glaronissia islands and only 150 m from the tiny Kapros beach. 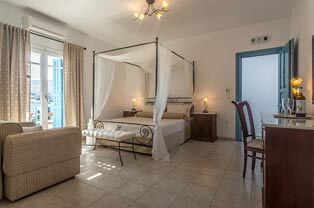 The wonderful bay of Pollonia is near and close by us there is a bus stop. 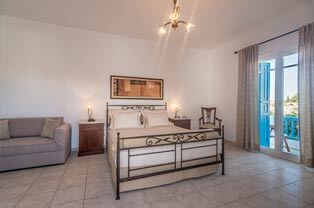 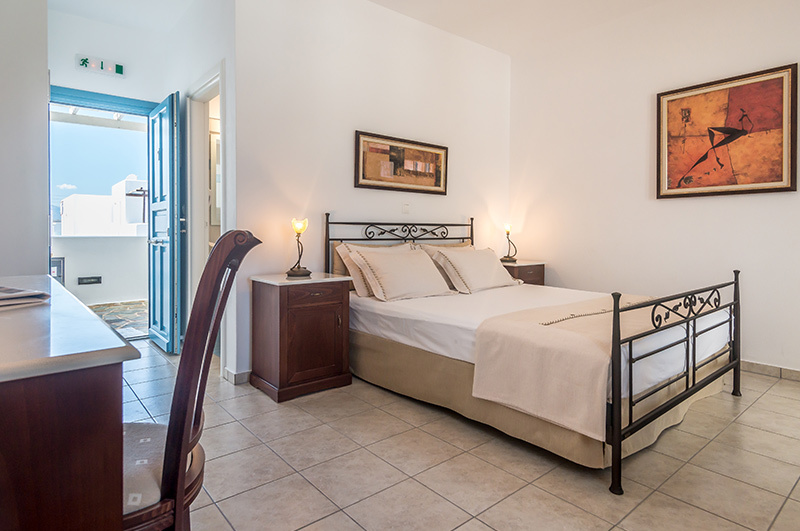 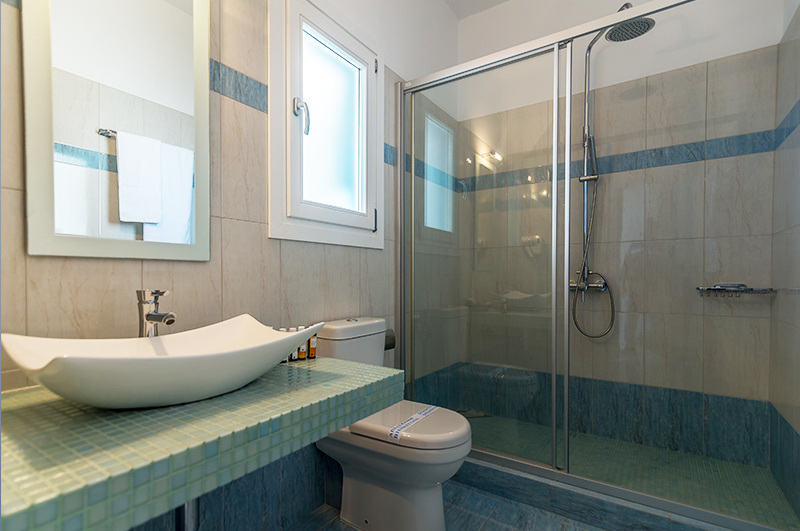 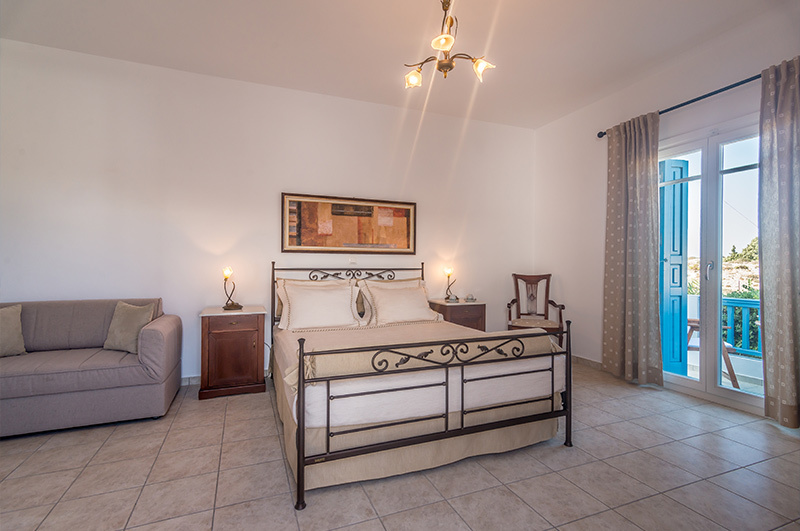 Astraeos has traditionally rooms designed according to the local architectural style, with handcrafted furniture on touches of elegant earth colors, luxurious bathrooms. 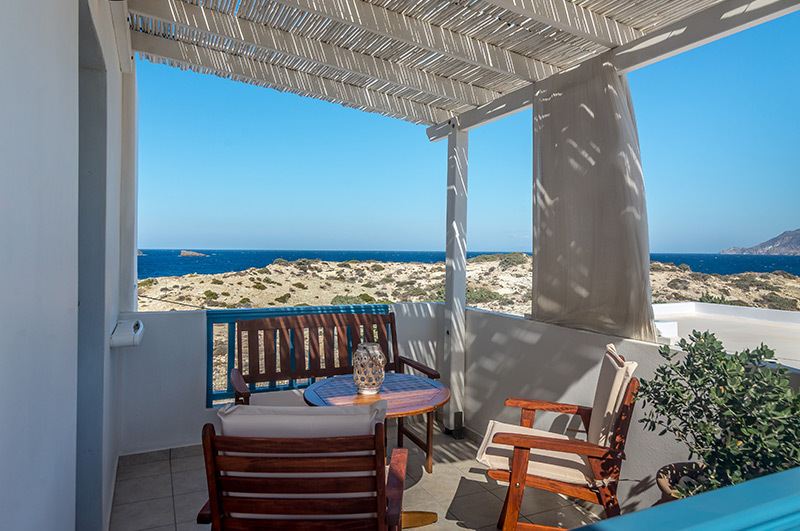 The private terraces or balconies promise comfort, quiet, and unforgettable holidays. Our rooms, 5 double bedded and 4 with 3 beds, have all comforts from A/C, TV, fridge, wifi and own parking and enjoy exquisite uninterrupted views of the sea and the most magical sunset on the island. 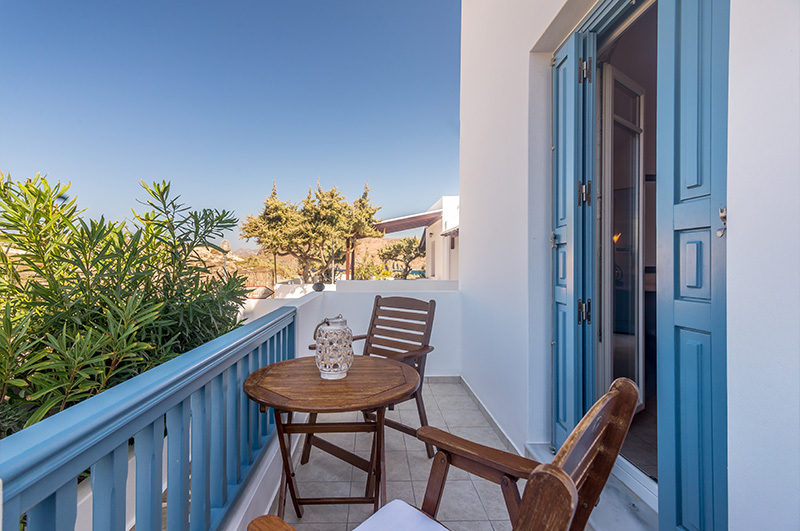 Immerse yourself in the blue of Cycladic dreams, taste an unaffectedly warm sense of hospitality with love and respect for our visitors.